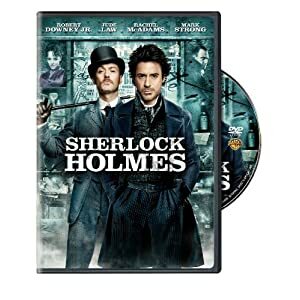 Sherlock Holmes is in stores this week, with Robert Downey Jr. in the role of Sir Arthur Conan Doyle's legendary detective. Other theatrical releases on DVD this week include the Acadamy Award-nominated An Education and two Alice in Wonderland releases (which together collect five different films of the classic). The documentary The Antarctica Challenge: A Global Warning is high on my viewing list. The week's television releases are a bit skimpy, mostly reissues like the first season of Sports Night, which does include some new bonus material. Add to your Blu-ray library this week with The Diary of Anne Frank, Collateral, and Vampyres.